Beneath the water is land. Where steep cliffs and bluffs rise out of ocean inlets, beneath the water the land continues. It is this unseen connection, the follow through made apparent, that underpins Fjord. 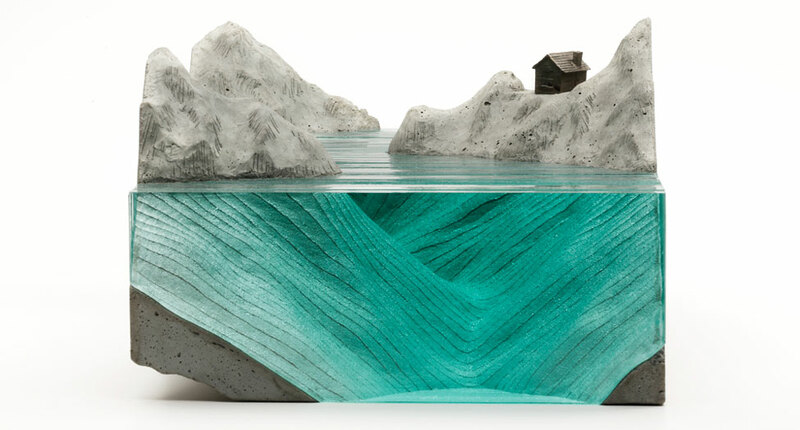 Marks left by the gradual inching of glaciers are appropriated in industrial materials, mirroring a shift from the artist's homeland of New Zealand to his current abode in the glass and concrete latticework that is Sydney. 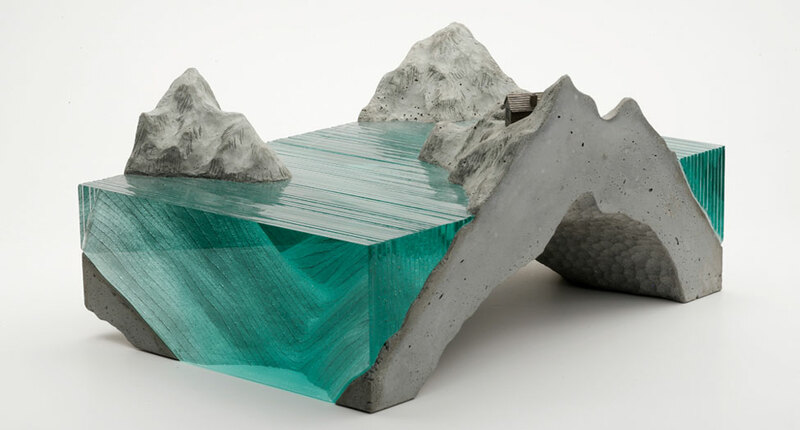 Ben Young was raised at Waihi Beach, New Zealand, and is now living in Sydney, Australia. 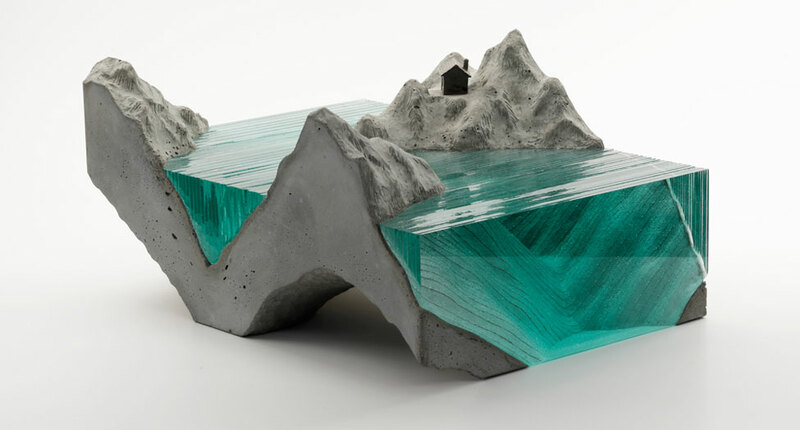 Ben Young is a self-taught artist who has been making glass sculptures for over 10 years and has exhibited alongside well-known glass artists in both New Zealand and Australia. Having spent most of his life living in the beautiful Bay of Plenty (North Island, NZ) it seemed obvious to him to explore the local landscape and surroundings for early inspiration in his art. The ocean also playing a dominant role in his life being a keen surfer and boat builder by trade, he was inspired to capture the perfection and raw power of the sea and of the perfect wave. Though overwhelming in their apparent simplicity, what the common eye won’t realise is that each of Young’s sculptures are hand drawn, hand cut and handcrafted, layer on layer to create the end product. “I love watching the two dimensional shapes evolve into three-dimensional creations and the different way the light plays inside the glass. I love the liquid qualities the glass brings with it. It enables me to play with lighting and watch the glass react,” said Young.